Search crystals by the tags in the Place 8 Healing Crystal Index! Search the index of tags to find crystals related to your situation. Have fun searching through the tags to see what crystals you are led to. This method uses the logical mind as a gateway to discover crystals. Before reading a crystal’s description, take special notice of which crystals you are most attracted to strictly on an aesthetic basis. Also take notice which crystals you are most repulsed by. Then read the description of these crystals which describes the stone’s metaphysical properties. You will find that the crystals you have chosen will resonate most with what is going on your life while the crystals you are most repulsed by are the vibrations of healing you are most resisting. By using this method you will be tapping into your own latent intuition of the crystals! OPTION 1 – Fill out the CRYSTAL PULL questionnaire. Azalea will respond with an email with which crystal is best for you. You will also have an opportunity to purchase the specific individual crystal she has chosen for you. OPTION 2 – To have Azalea recommend the best crystal for you and explain how to work with your crystal metaphysically for maximum benefit, choose the INTUITIVE CRYSTAL READING. In this phone session Azalea will also answer any other questions you may have about buy zithromax 250 mg crystals in general. Both of these methods utilizes Azalea’s expertise and knowledge with the crystals as a practicing crystal healer. Many people shop based on a crystal’s price not knowing each crystal is conscious with its own individual personality. Much like puppies in a litter, they may be the same breed but each puppy will have its own personality. Likewise, each the same kind crystal will have a different individual personalities with one more suited to you over others. Method 2 or 3 above are the best ways to choose the specific crystal best for you. Again, instead of choosing by price or just by what kind of crystal it is, choose the individual crystal that resonates most deeply with you. A crystal’s personality appears more strongly when well cared for, so it is best to choose specimens that have been carefully handled from the beginning. Additionally, it is best to choose crystals with the intention you will be working with them for the rest of your life. Over time, as you work more deeply with your crystals the breadth of their personalities will become more apparent. If you choose crystals with the intention that you will have them for the rest of your life will make you more conscientious in choosing the best crystals to be in your life. 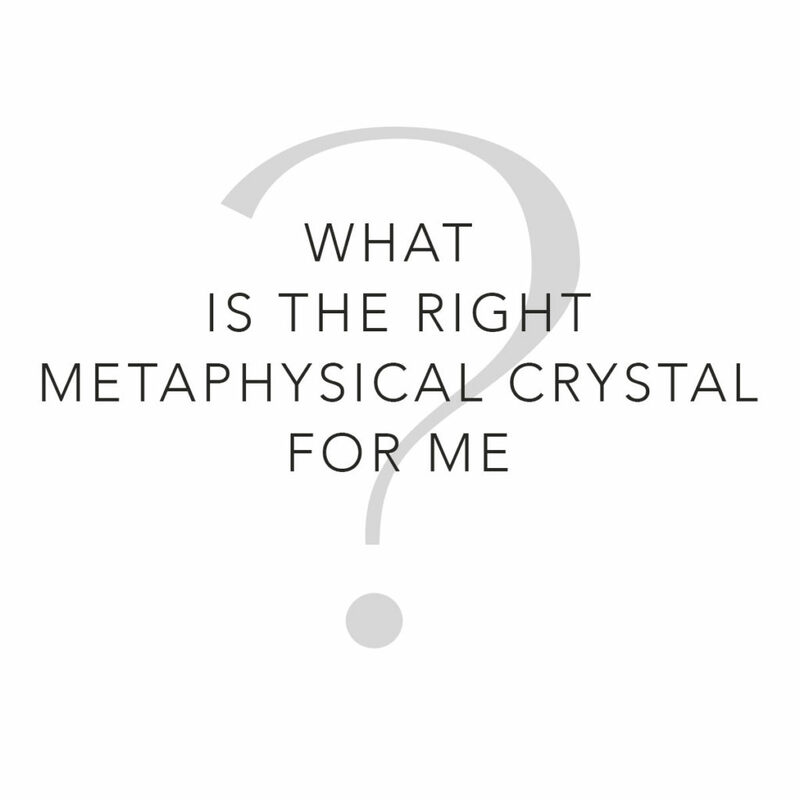 Quality is the most important factor in choosing metaphysical crystals. Read this link for more information on what makes a quality crystal.